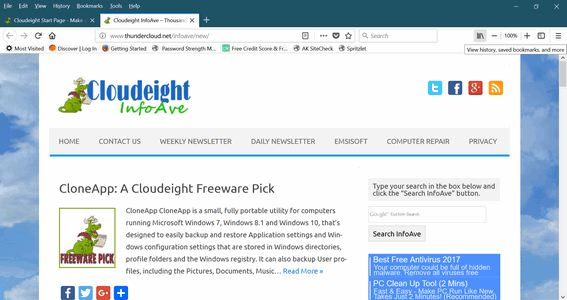 If you’re not afraid of trying beta software (software in testing stages) you might want to test drive Firefox’s current, in-the-works attempt to catch up with number one Chrome. We tested Firefox Quantum today, and we didn’t find it was 2x times faster, but it does use less resources. Whenever a browser claims to be faster, it makes us wince, because it so misleading. Most people read that and think it will load Web pages 2x faster, but that’s not the case. How fast web pages open, primarily depends on your Internet connection speed. Firefox Quantum (the program) does open faster than the current version of Firefox, but whether it’s 2x faster is debatable. As far as using less memory than Chrome, that seems to be true based on our tests. Powered by a new, cutting-edge engine, Firefox has doubled its speed from last year. Because the Internet waits for no one. 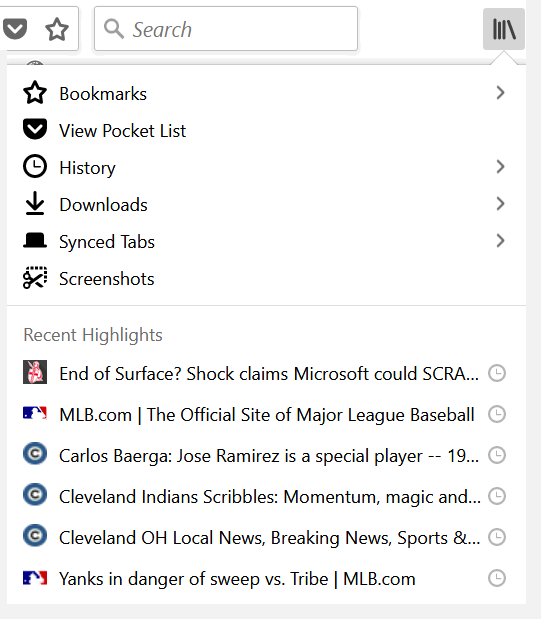 Enjoy everything you’ve saved to Firefox while browsing in one, easy place. 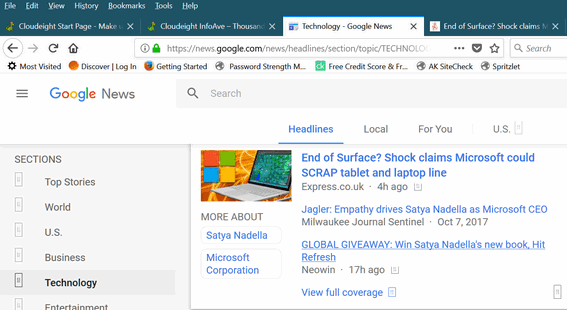 You can test drive the Firefox Quantum beta or sign-up to be notified (or both) when the Firefox Quantum browser is out of beta and in its released version. We found the beta to be stable and without any glaring defects. Some Firefox extensions (LastPass for example) won’t work in the beta version, although you can be pretty sure that by the time it is released most extensions will be updated to work with it. If you’re the kind of person who likes to try new things, we don’t think you’ll have any problems using Firefox Quantum beta versions. 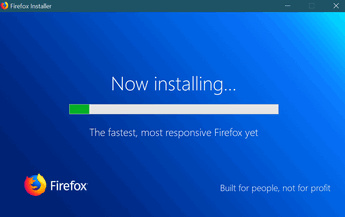 If you want to download the beta, keep in mind that it MAY overwrite your current version of Firefox – and some of your extensions might not work. Our bookmarks imported into Firefox Quantum effortlessly. If you’re interested in downloading and trying Firefox Quantum or you want to sign-up to be notified when it is released to the public (scheduled release date is November 14, 2017), or you’re just curious and want to read more about Firefox Quantum — all you have to do is visit this page. I do not understand the point of having a browser that does not recognize a search engine such as google. Harry, Firefox Quantum, like the current version gives you multiple search options including Google. 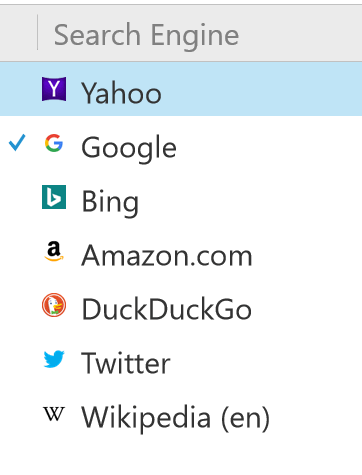 Open Firefox and type about:preferences#search in the address bar and you’ll be able to choose from the following search engines. 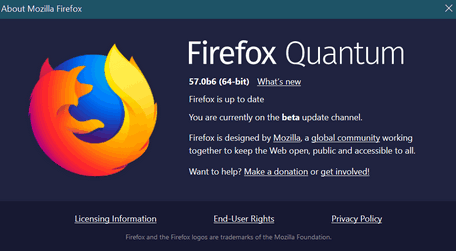 By downloading the Quantum Firefox, will it replace my regular Firefox? Thank you! 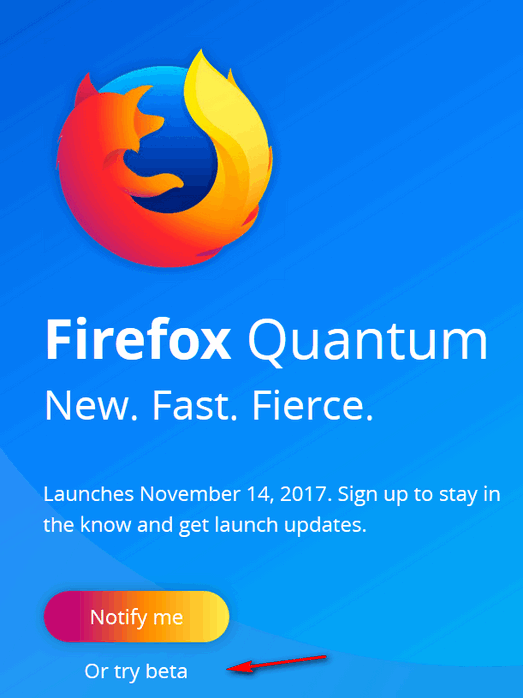 Sorry, I meant the Quantum Firefox beta. It overwrote mine on a different user account where I had the current released version of Firefox installed. I rarely use that user account and only use it for testing stuff like this. It did import my bookmarks but some extensions didn’t work. Using a alternate user account is good for something like this.